On November 16, 2018, the meeting of IOM Moscow Chief of Mission, Abdusattor Esoev, with the Ombudsman in St. Petersburg, Alexander Shishlov, was held. During the meeting it was agreed to continue cooperation, including in the field of legal education. 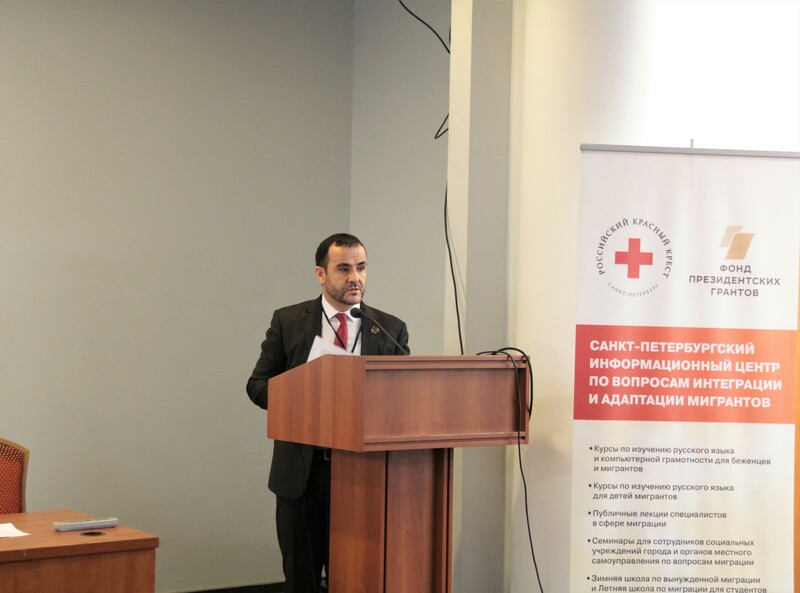 Scientific-practical conference "Integration of migrants and refugees in Russia"
On November 15, 2018, a scientific-practical conference “Integration of migrants and refugees in Russia” was held in St. Petersburg, organized by the St. Petersburg branch of the Russian Red Cross, aimed at systematic and comprehensive discussion of issues related to the integration and adaptation of migrants and refugees in the Russian Federation. 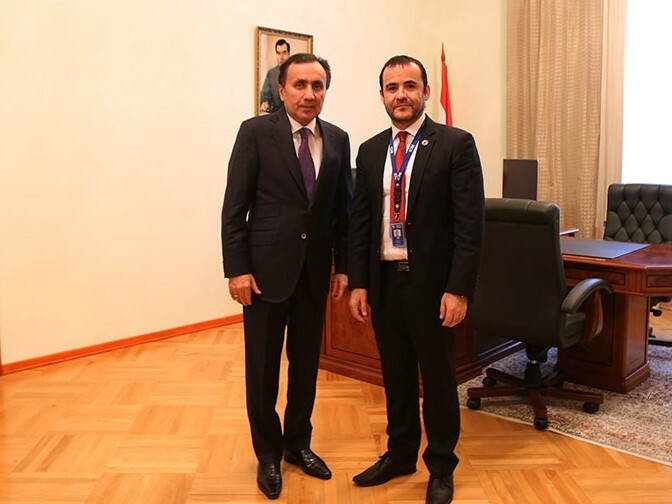 On October 31, 2018, the Chief of Mission of the International Organization for Migration (IOM) in Moscow, Abdusattor Esoev, met the Ambassador Extraordinary and Plenipotentiary of the Republic of Tajikistan in the Russian Federation, Imomuddin Sattorov. The VI Eastern Europe and Central Asia AIDS Conference was held in Moscow on April 18-20, 2018. 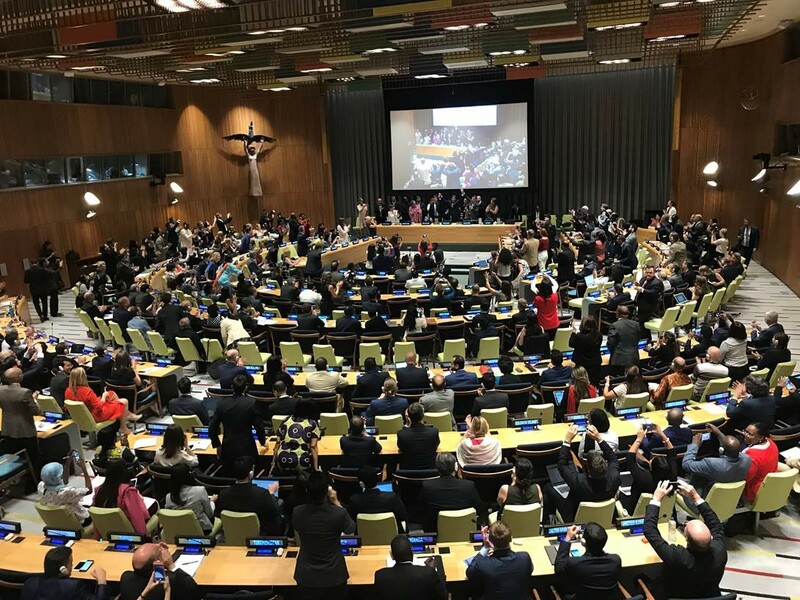 Presentations from about 3000 delegates from 63 countries were grouped in the four thematic areas: “Science and Medicine”, “Promoting International Development”, “Effective Prevention”, and “Civil society”. Three panels were specifically devoted to discussing access of migrants to medical help and disease prevention services. On 1 June 2017 the 5th All-Russian scientific-practical conference “Russian language and problems for socio-cultural adaptation of foreign nationals in the Russian Federation” was held in the RUDN University. 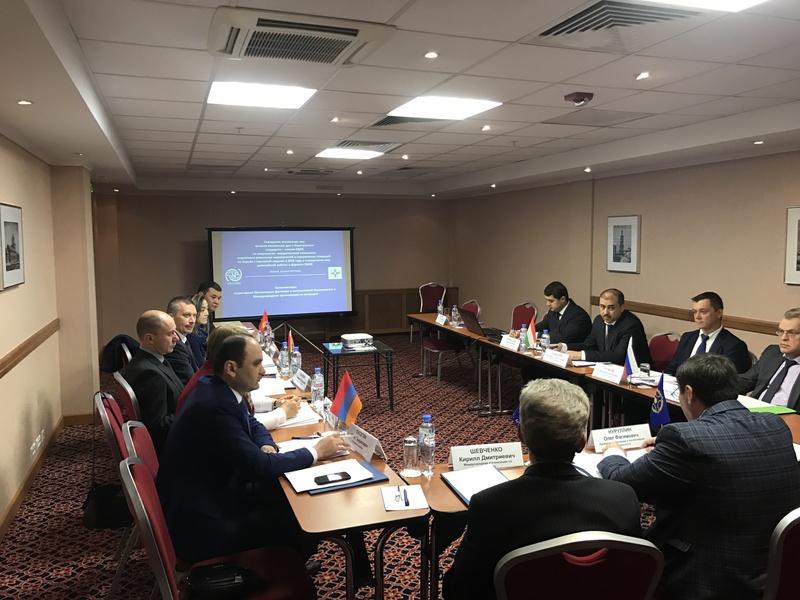 The Conference was attended by the representatives of more than 150 scientific and educational institutions located both in Russia and abroad, who deal with teaching and training the Russian language, as well as the representatives of a number of public, religious and international entities, including IOM Moscow. Conference "Migration processes in Russia and in the world in the context of the preservation and evolution of the Russian language as the state language of the Russian Federation and the state languages of the countries of the European Union"
In recent years migration processes in Europe and Russia are in the focus of public attention, they are the subject to study by the scientific community and have a significant influence on the political forces disposition in migrants accepting countries.